Mojácar Playa is sits alongside the Mediterranean sea in Eastern Andalusia. With a stunning backdrop of the awe inspiring Sierra Cabrera mountains, you will be hard pushed to find a nicer spot to come to and relax. The fact that it is not inundated with em-mass tourist beach goers really adds to the overall appeal. The beach itself is positioned almost smack dab in the middle of two busy airports, Alicante and Malaga. Mojácar Playa is steeped in history and legend, making it again, a great place to visit to soak up this part of the Mediterranean’s shore line. Despite being well known among the Spanish beach goers, this area is still thought of as one of the more untouched beauty spots in Southern Spain. With over 17km of beautiful beaches, that just drape around the curving coastline, it is easy to see why those who do make the effort are spoilt with beautiful coatlines and imposing cliffs. With great chiringuitos dotted along the coast, your relaxing day at the beach is complete. There are 35 different types of beach within this municipality that stretches 28 km up the coastline. They have different types of sands and all offer their own unique take on this beautiful part of the Mediterranean. 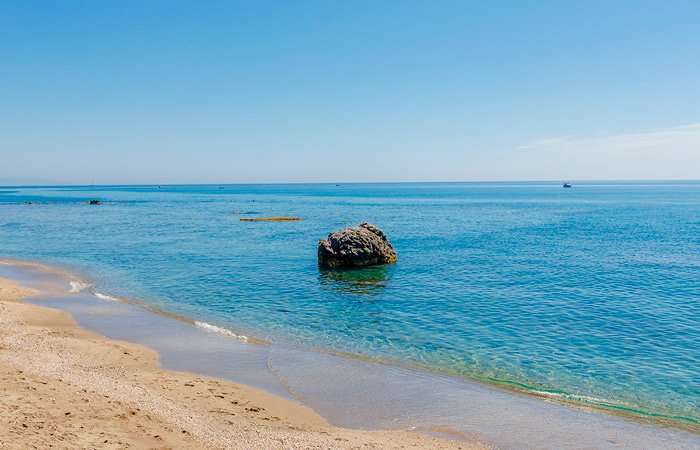 One of the most popular beaches is Cuatro Calas. 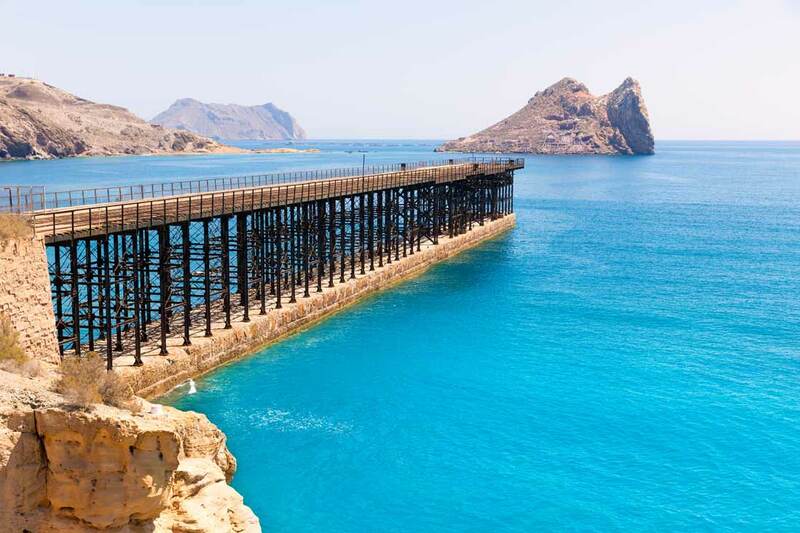 It sits within a beautiful Protected Nature Reserve that lies in the border with the province of Almería. The many various coves and family beaches really add to the impact of what this whole area offers to those who come to visit. The beach bars and restaurants offer tastes of the world, however, there is a magnetism to ordering locally caught fish that the local fishermen catch that morning. If you would like to get away from the excitement of the enduro riding during your stay and fancy exploring some of the wonderful local beaches then we would most certainly recommend a trip down this way. This hilltop town was dubbed one of Spain’s prettiest towns in 2003. Since then not much has changed. There is something truly captivating when you stroll around traditional Spanish towns. On a personal level, I cannot help bet be cast back in time, when I meander through the small streets, stopping occasionally for a glass of red wine and some traditional tapas. This town is located on a hilltop, 170 metres above sea level, at the end of Sierra Cabrera, on the eastern side of Almeria province. No matter what time of the year you visit, the town offers a wealth of history, friendly locals and superb food and drink. 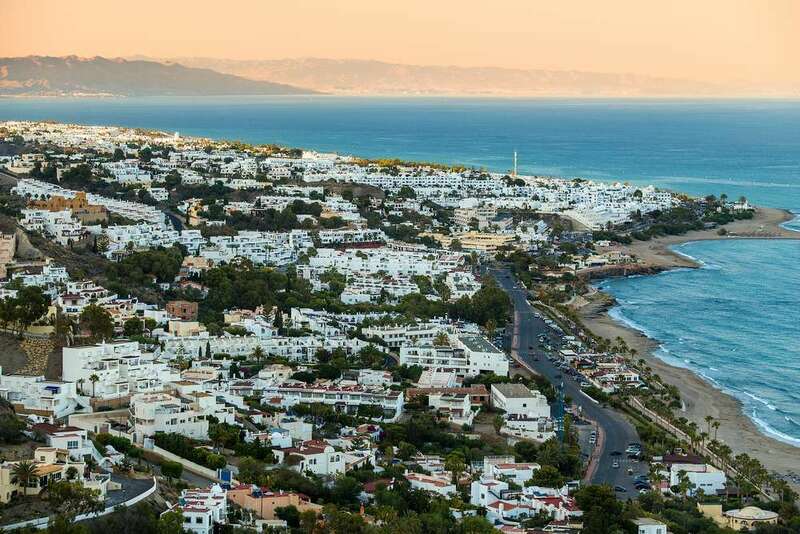 The area is split between the hillside Old Town and the beaches, both offering a taste of the Mediterranean that you will remember long after you leave. Mojácar Playa is sits alongside the Mediterranean sea in Eastern Andalucía. With a stunning backdrop of the awe inspiring Sierra Cabrera mountains, you will be hard pushed to find a nicer spot to come to and relax. The fact that it is not inundated with em-mass tourist beach goers really adds to the overall appeal.